The ‘Concept Room’, a prototype for an innovative ambulatory surgery centre designed by Clubster Santé and Lille university hospital, offers a glimpse into the future of patient care. This project, which was presented at the last ‘Health and autonomy’ expo and sponsored by Econocom, won an HIT innovation trophy in 2013. 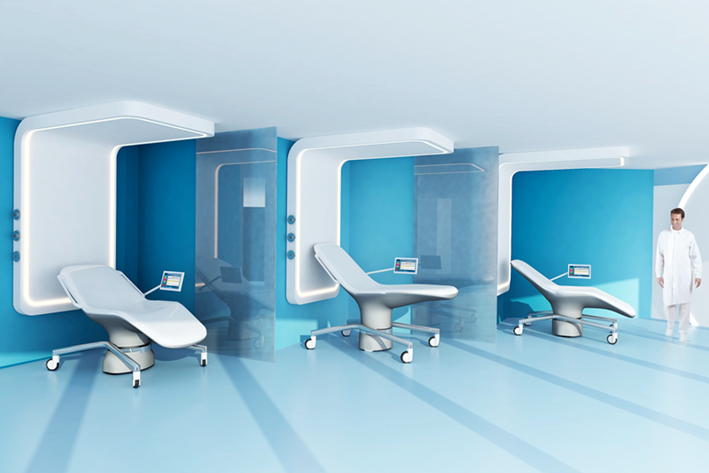 Partager la publication "The patient room of the future"